Whatever you’re putting money aside for, there’s likely to be a role for Individual Saving Accounts (or ‘ISAs’). 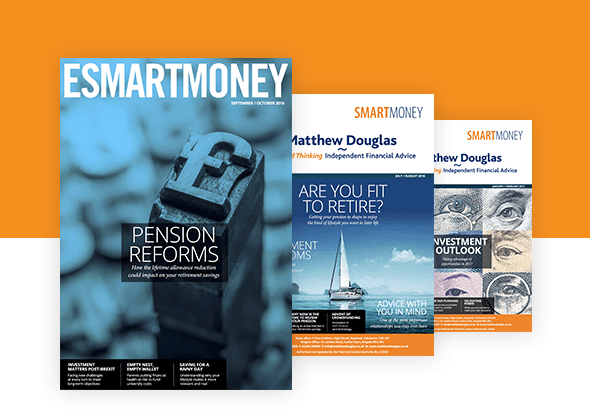 If you’re looking to grow your money over many years – perhaps to fund a dream purchase or help you in retirement – cash might not be the right option, especially when the interest rates on Cash ISAs are near all-time lows. Here are five reasons why you might consider investing some, or more, of your savings in a Stocks & Shares ISA, which could help you realise your long-term financial ambitions. One of the appeals of cash savings is that you can access them when you want. Your interest is also generally fixed, so their value won’t swing up and down like share prices can. It’s sensible to keep enough cash to cover any short-term needs, but keeping too much of your savings in cash can carry a cost. However, when the price of goods and services or inflation is rising faster than the rate of interest you receive on, say, your cash savings in a UK bank or building society, the ‘real’ value of the amount is eroded, which could leave you worse off. By accepting some level of risk and investing your money in assets such as company shares, bonds and property, you could potentially achieve higher returns than cash alone can offer. Relying on any one asset could expose you to an unnecessary risk of losing money. The key to managing risk over the long run is holding the right blend of assets that can collectively perform in different circumstances. A wide range of investments can be held in a Stocks & Shares ISA. As well as individual company shares and bonds – both government and corporate – you can invest in funds that package several assets. Some funds focus on one type of asset, and sometimes even one region, while others hold a mix of assets from around the world. A broad and diversified portfolio should help spread the risk of individual assets failing to deliver returns or falling in value. When you invest through an ISA, any income you receive and any capital gains from a rise in value of your investments will be free from personal taxation, irrespective of any other earnings you have. It’s important to remember that ISA tax rules may change in the future. The tax advantages of investing through an ISA will also depend on your personal circumstances. Professional fund managers are constantly preparing for and reacting to changing market conditions, adjusting their portfolios accordingly. Your circumstances – and attitude towards investment risks – are also likely to evolve, meaning different types of assets will become more or less appropriate over time. For example, if you’re close to retirement, you may want to reduce the level of risk in your portfolio or move towards income-generating assets. It’s sensible to review your investments regularly – even as a long-term investor. Within an ISA, you can reallocate your portfolio according to your outlook and needs at any time without losing any of the tax benefits. You can also move money from your Cash ISA to your Stocks & Shares ISA, or vice versa, as your short-term cash needs change. You can choose to invest a lump sum or set up a regular savings plan that fits your circumstances and your financial goals. It’s important that you only invest in products that are suitable. For the tax year starting 6 April 2017, the ISA allowance is £20,000 for Cash ISAs or Stocks & Shares ISAs, and £4,128 for Junior ISAs. STOCKS & SHARES ISA INVESTMENTS DO NOT INCLUDE THE SAME SECURITY OF CAPITAL THAT IS AFFORDED WITH A CASH ISA.